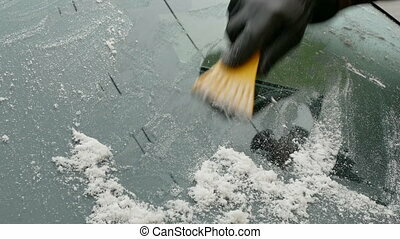 Driver scraping ice from windshield. 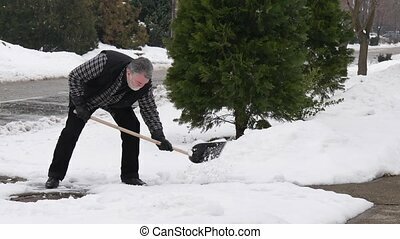 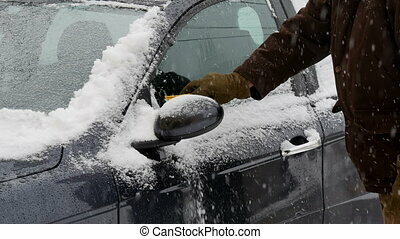 Winter scene, human hand in glove scraping ice from windshield of car. 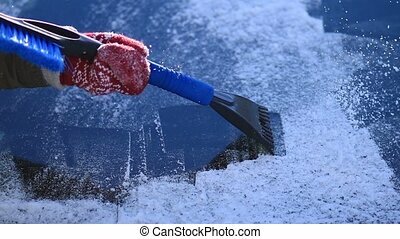 Close up of female hands in red knit mittens scraping ice from car windshield with ice scraper. 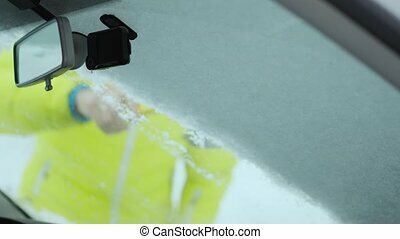 Focus on ice scraper, close up. 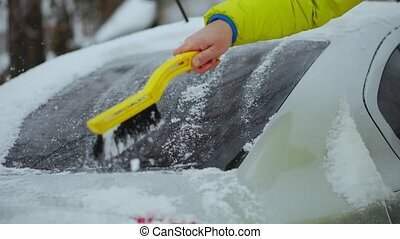 Close up hand of woman in red woolen mittens scraping ice and snow from car's front windscreen using plastic ice scraper. 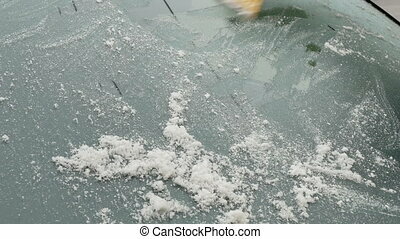 Close up woman's hand scraping ice from car windscreen with ice scraper on winter morning. 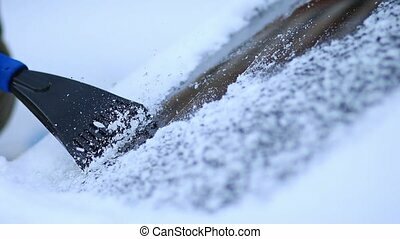 Focus on ice scraper. 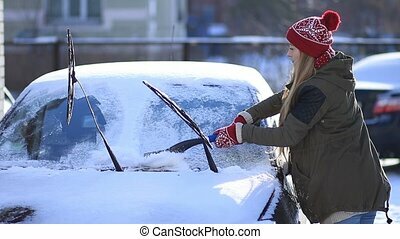 Young pretty female in warm winter clothes removing snow from car windshield with snow brush in the morning. 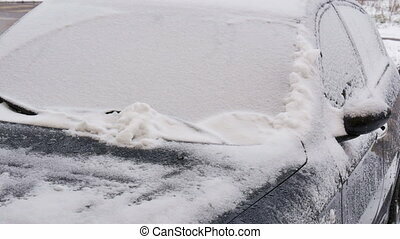 Cleaning car from snow. 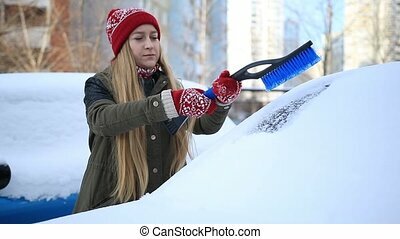 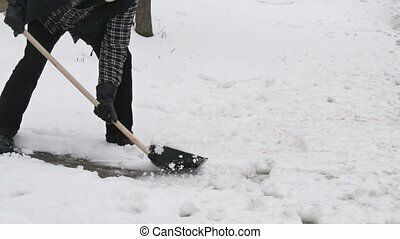 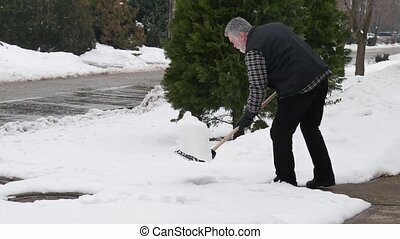 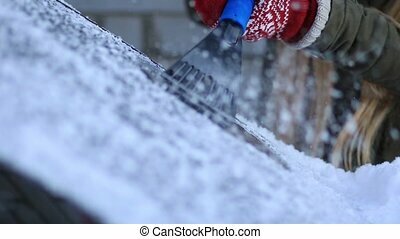 Attractive woman cleaning car front windshield from snow using plastic snow brush in winter. 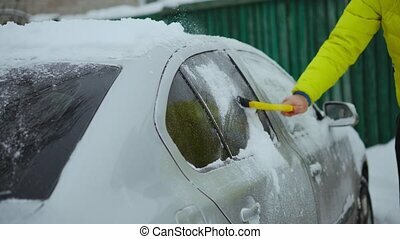 Girl removing snow from her parked snowbound automobile with windshield wipers raised up in the morning. 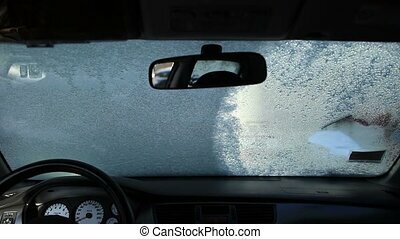 View from inside of car's cab. 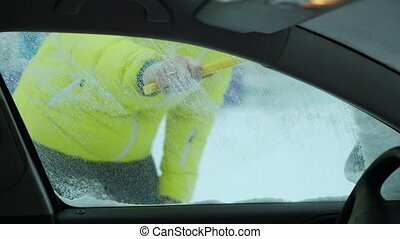 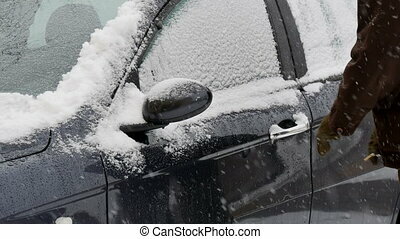 Female driver scraping the car windscreen with ice scraper. 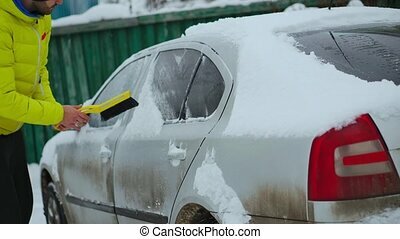 Woman cleaning car from snow with brush on winter morning.